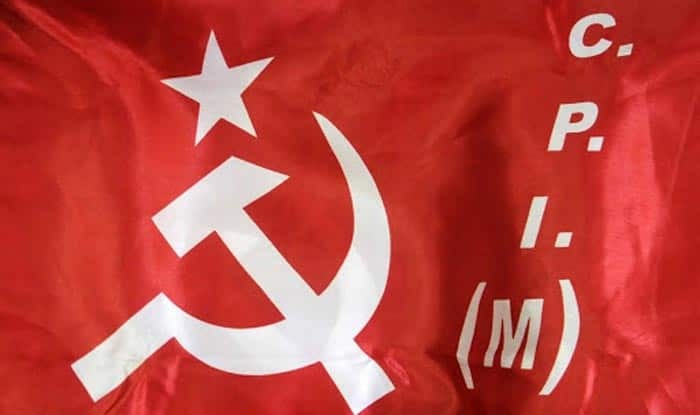 As the editorial kicked up a controversy with the Lok Sabha polls only days away, CPI(M) tried to douse the ambers saying it was an inadvertent mistake. A day after Congress announced that Rahul Gandhi would contest from Wayanad in Kerala, the ruling CPI(M) courted controversy by referring to the Congress chief as “Pappu” in the party newspaper, Deshabhimani. The editorial, titled “Pappu strike to complete the collapse of Congress”, alleged that Gandhi decided to contest in Wayanad fearing defeat from Amethi in Uttar Pradesh. State Finance minister Thomas Isaac said this was not CPI(M)’s style and it could be a mistake. However, Marxist veteran VS Achutanandan, who had once described Rahul Gandhi as “Amul Baby”, said the Congress chief was behaving like a child and not rising up to the situation. “What change is going to take place if Rahul is contesting from Wayanad?… The Left will take on Rahul and BJP together. But what about the Congress?. Their stand that BJP is their prime enemy will be demolished with Rahul Gandhi contesting from Wayanad,” he said in a Facebook post. ‘Pappu’ is perceived as a social media slur coined to target Gandhi and is often used by the BJP to attack the Congress President. PM Manoj, the resident editor of the daily, admitted that the reference was “inappropriate” and an inadvertent mistake, which would be looked into. In his Facebook post, Manoj said abusing a politician was not the politics of the daily and the party. “Abusing a politician is not our politics and the reference was unintentional. We will check the mistake and rectify it,” he said. The state Congress leaders lashed out at the newspaper and the Communist party with senior leader Oommen Chandy saying the people will give a befitting reply to the LDF. The CPI(M) was following the BJP’s footsteps, he said. Opposition leader in the assembly Ramesh Chennithala said BJP and CPI(M) have similar views on Gandhi’s candidature in Wayanad. Thrithala MLA V T Balram, who was always vocal against the ruling LDF, demanded an apology from the editor-in-chief P Rajeev, who is the Left candidate from Ernakulam constituency. The Election Commission had barred the ruling BJP in Gujarat, in 2017, from using the word ‘Pappu’ in an electronic advertisement, which apparently targeted the then Congress vice-president Gandhi, calling it “derogatory”. While CPI’s PP Suneer is the LDF candidate in Wayanad, BJP-NDA has fielded Thushar Vellappally, leader of the Bharat Dharma Jana Sena (BDJS), to take on Rahul Gandhi. Kerala Chief Minister Pinarayi Vijayan said Gandhi fighting in Kerala meant the fight was against the Left party. The editorial also said that Gandhi was eyeing the minority votes in the constituency. If the Congress chief intends to fight the BJP and the RSS, then he should have chosen some other constituency in some other state, it said. “BJP is yet to open its account from state to Lok Sabha. Here the fight is between the Left and the United Democratic Fronts. That means he is fighting against the Left in the state. How are they planning to counter the BJP nationally?” the editorial wondered.